As the premier of Once Upon a Time in Wonderland gets closer (October 10), we decided to give you a brief background about what Alice in Wonderland—the story that inspired the series—is all about, before we even begin to experience the wonderful world of Wonderland. The original animated version from Disney is true to the book, with some lines from the second book, Through the Looking Glass. The 2010 Tim Burton movie version was actually based more on the second book. Only in the movie, Alice was about to be proposed, unlike the 7-year old Alice we’ve known from the book. It seems like Once Upon a Time in Wonderland is bringing characters from both books, such as the Red Queen (2nd book) and the Knave of Hearts (1st book). It’d be interesting if they tie parts of some of those poetic dialects in the show. However, unless it’s a romance, starting with poetry just doesn’t seem to have that adventure sense. Based on the trailer, looks like we’re also getting the typical flashback approach with Once Upon a Time in Wonderland. After all, flashbacks work very well in tying in stories. The series press release says that Once Upon a Time in Wonderland is set in Victorian England. We wonder how are they going to introduce us to characters we already know (like Cora and the Mad Hatter) without screwing up the timeline? How is the timeline going to be in Wonderland? Is it going to tie in with the timeline in the Enchanted Forest and/or Storybrooke? It was known that the Mad Hatter wasn’t in the second book anymore. There are illustrations of the Mad hatter in the 2nd book, called the Hatta, which is one of the (White) King’s messengers. Is it possible that the show would have more than just one Hatter? Once Upon a Time is all about hope and belief. What could be its core theme? The trailer keeps repeating the phrase, “Nothing is impossible.” Could this be it? A Love Story Alice in Wonderland? In the very recently released DVD Blu Ray of Alice in Wonderland, the Disney Featurette said that one of the weaknesses of Alice in Wonderland is it never tugs on your heartstrings the same way as other Disney films like Bambi and Dumbo do. Seems like creators Edward Kitsis and Adam Horowitz are trying to turn it around by turning Once Upon a Time in Wonderland into a love story. From the creative minds that introduced audiences to ABC’s “Once Upon a Time,” Edward Kitsis & Adam Horowitz (“Lost,” “Tron: Legacy”), and Zack Estrin (“The River”) comes a fantastical, epic adventure that offers an exciting new twist on the classic “Alice in Wonderland” story. “Once Upon a Time in Wonderland” will take you through the looking glass in a modern take on a beloved fable that’s brimming with wonder, magic and unspeakable danger. In Victorian England, young and beautiful Alice (Sophie Lowe) tells an impossible tale of a strange new land that exists on the other side of a rabbit hole. An invisible cat, a hookah-smoking caterpillar and playing cards that can talk are just some of the fantastic things she’s seen during her adventure. Surely this troubled girl must be insane. Her doctors intend to cure her with a treatment that will make her forget — everything. Alice seems ready to put it all behind her, especially the painful memory of the genie she fell in love with and lost forever, the handsome and mysterious Cyrus (Peter Gadiot). But in her heart Alice knows this world is real, and just in the nick of time the sardonic Knave of Hearts (Michael Socha) and the irrepressible White Rabbit (John Lithgow) arrive to save her from her fate. Together the trio will take a tumble down the rabbit hole to a Wonderland where nothing is impossible. “Once Upon a Time in Wonderland” stars Sophie Lowe (“Beautiful Kate”) as Alice, Michael Socha (“This Is England”) as The Knave of Hearts, Peter Gadiot (“The Forbidden Girl”) as Cyrus, Emma Rigby (“Prisoners Wives”) as The Red Queen, with Naveen Andrews (“Lost”) as Jafar and John Lithgow (“3rd Rock from the Sun”) as the voice of The White Rabbit. 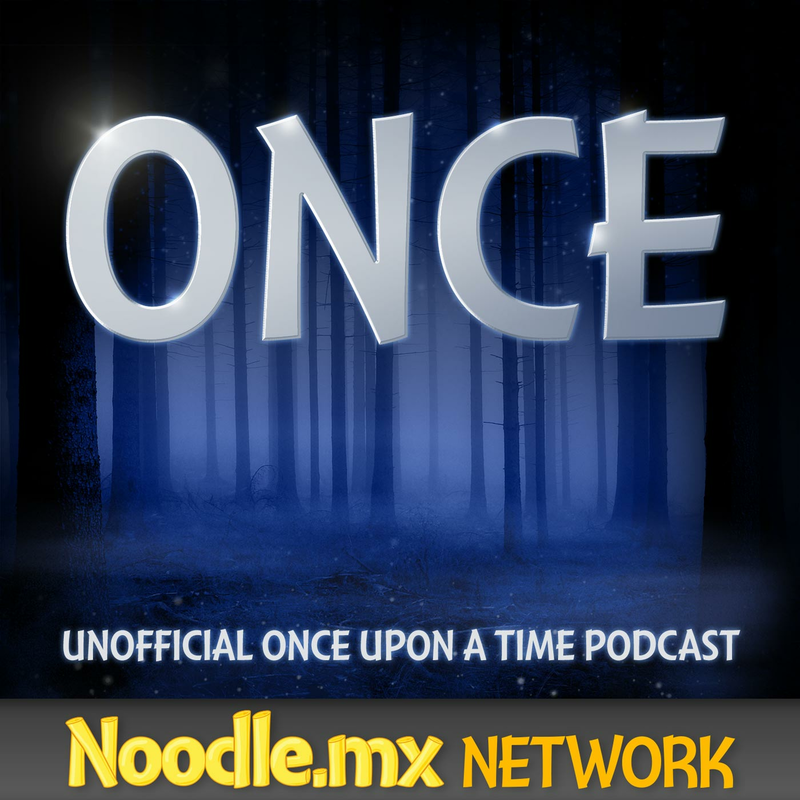 “Once Upon a Time in Wonderland” is executive-produced by Edward Kitsis (“Once Upon a Time”), Adam Horowitz (“Once Upon a Time”), Steve Pearlman (“Once Upon a Time”) and Zack Estrin (“The River”). The pilot was directed by Ralph Hemecker. In the episode the Hat Trick, The Evil Queen and The Mad Hatter (Jefferson) journeyed to Wonderland to retrieve a prized artifact that the Queen of Hearts apparently took from Regina, which turns out to be her father. However, because of the rule of The Mad Hatter’s hat that only the same number of people to come in have to come out, The Mad Hatter ended up getting stuck in Wonderland. In the hopes of going back to the Enchanted Forest to her daughter, The Mad Hatter tirelessly tries to make a new hat which unfortunately, none of it seemed to work. As Regina’s curse hit, The Mad Hatter was brought from Wonderland, along with the other characters in the Enchanted Forest, to a new land called Storybrooke, Maine. In Wonderland, on the other hand, ruled The Queen of Hearts, who turned out to be Regina’s mother, Cora, who was pushed unwillingly by her daughter through the looking glass and on to Wonderland. At some point, however, Cora rose to power and eventually became The Queen of Hearts. In the series premiere episode, “Down the Rabbit Hole,” Alice returns home to her father telling her that everyone thought she was dead. Her imaginative stories about a talking White Rabbit and a mystical place called Wonderland end up getting her admitted into an asylum where Dr. Lydgate convinces her to have a procedure that will allow her to forget her pain. Right before the operation is set to take place she is rescued by the Knave of Hearts who takes her to the rabbit who informs her that her true love Cyrus is still alive. As the trio then jumps into the portal returning to Wonderland, Alice sets out on a quest to find him but the villainous Jafar and the Red Queen have other plans for her, on “Once Upon a Time In Wonderland,” THURSDAY, OCTOBER 10 ([8:00]-9:00 p.m., ET) on the ABC Television Network. Did you see something in Once Upon a Time that is related to Wonderland that we might have missed?